This likely will sound a bit prideful, but I was reading a column earlier this week in the New York Times and realized that I already had in place a really important trend in office furniture: the smart desk. First, my desk is in my basement home office, which is far in the corner past the furnace, water heater and exercise machine. Second, the bathroom is directly above the office, but the only way to get there is to walk all the way to the other end of the basement, go up the stairs, then walk to the opposite end of the house. Third, I drink coffee or water, therefore causing making periodic pilgrimages from the desk to the bathroom an absolute necessity. This is a complete natural process that requires neither an alarm nor soothing voice. And sometimes, just to bolster this healthy process, I stand in front of my desk while talking of the phone. 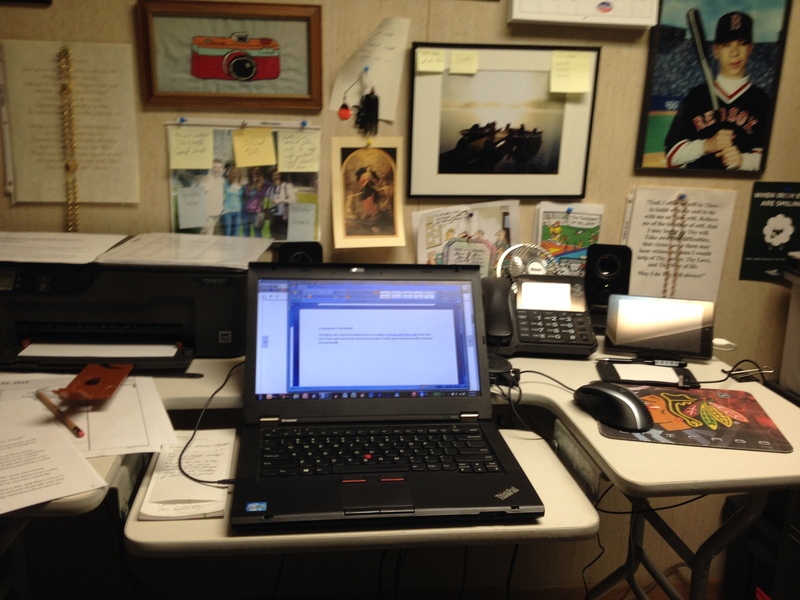 I have even been known to pace, a healthy process that predates the smart desk for thousands of years. All this isn’t to say that I have anything against a technologically advanced desk. If the family got me one for Father’s Day I would use it. But we’ll likely to use the funds that could buy a smart desk for food, water, light and heat, all things that are smart to have in your house. That’s OK; as long as I get my coffee first thing in the morning, my system will work.